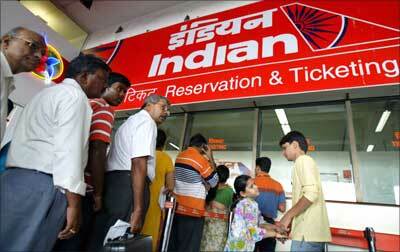 The low-cost carrier is within striking distance of Air India to become the country's third largest aviation player. Last month, budget carrier IndiGo received the government's nod to buy 150 aircraft over the next two to three years, as it looks to fly international routes. 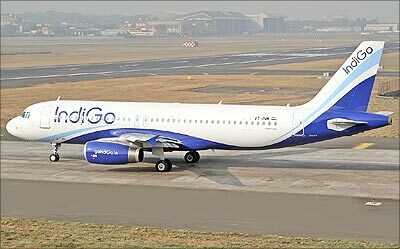 IndiGo will complete five years of operations in August 2011, which makes it eligible to fly overseas routes. Even though competitor SpiceJet has beaten them to it by announcing its global foray with flights to Kathmandu and Colombo, the international debut will be an important milestone for IndiGo, the country's biggest low-cost carrier with a market share of 16.9 per cent in July (from just 13.4 per cent in April). SpiceJet is next at 13.2 per cent. Significantly, Indigo is within striking distance of Air India whose latest available market share is 17.3 per cent. Which means the LCC is a serious contender for the third largest aviation player in India if it can continue its growth momentum. The large order book for planes also shows how IndiGo has been playing the cost game well. The huge orders, second only to Air India's, could be a big differentiator not only in terms of size but would also enable the LCC to extract hefty price discounts from manufacturers. The carrier has managed to scale up fast and now has 28 aircraft (against Spicejet's 21). It is expected to take delivery of seven more by the end of this calendar year. Compare that with SpiceJet, which was launched a year earlier and has 21 aircraft. It is leading in seat factor as well. While IndiGo has seat factor of 80.2 per cent, its peers SpiceJet and GoAir have seat factors of 76.8 and 71.3 per cent, respectively. 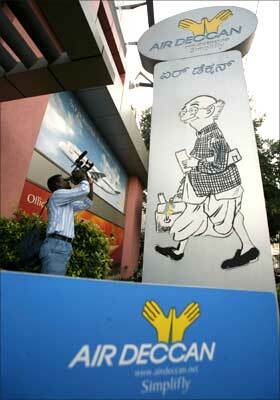 Since IndiGo is not publicly listed, it doesn't disclose its results. But the airline is clearly profitable, which is evident from Civil Aviation Minister Praful Patel's statement in Parliament in 2009 that the airline posted a profit of Rs 82.16 crore (Rs 821.6 million) in the year ended March 31, 2009. Analysts say profits have gone up several times after that. Compare that with SpiceJet, which made a loss of Rs 352 crore (Rs 3.52 billion) in the same period before making a spectacular turnaround in the next year with Rs 61 crore (Rs 610 million) net profit. Analysts believe the success of Indigo is also because it has been able to identify profitable routes and stick to them, without experimenting too much. A brokerage report said, "IndiGo has a very cautious approach, it always increase frequencies on a profitable route, which is a safer bet than increasing the number of points connected." The airline has just announced its plans to increase the frequencies for the winter schedule. And Indigo president Aditya Ghosh says the airline is also announcing new frequencies from Mumbai, Delhi, Goa, and Nagpur, which will provide even more flexibility of choice for its customers. "IndiGo's network contains an equal mix of the larger metropolises and second- and third-tier cities and the carrier has an average stage length of about 90 min. "Stage length refers to the length of the average flight of a particular airline. "As stage length increases, costs tend to go down, which is why the airline made profits so early in its life," says an analyst. Image: Passengers queue outside the Indian Airlines ticket counter at the domestic airport in Mumbai. IndiGo has also done something it had never done before -- that is shedding its obsessively low-profile demeanour. The exercise began with advertisements and mailers in February, when a 10-slide presentation was e-mailed to frequent flyers. Ghosh says on-time performance is core to IndiGo's business and is one of the three values that IndiGo stands for. "IndiGo's TVC 'On Time' reinforces our commitment of providing all our fliers with an on-time, hassle-free experience at low fares." An advertising agency head says the best publicity is always by word of mouth. If your departure time is 8 am and your plane is taxiing on the runway at 8 am or the air hostess refers to you by your name, it makes a big difference. IndiGo has also gone in for a rebranding exercise, with new uniforms changing the flavour to international, possibly due to the expected launch of short-haul international operations from next year. Somewhere between a tennis and a shirt dress, the new uniform has a bi-colour tunic, with indigo coloured hats to match. Experts believe it is a smart move. The new uniforms will bring in uniformity, as opposed to the three different types of uniforms the airline currently has. However, IndiGo has tough competition ahead. "SpiceJet has just had a massive equity infusion and a new owner, while GoAir is also improving its game," says an analyst. Analysts say the future is bright for budget carriers, which operate a quarter of the 250-odd aircraft in the domestic sector. They have already captured more than 35 per cent of the market and analysts expect them to corner three-fourths of the market in the next five years. Being the market leader, that is music to Indigo's ears. Yamuna Expressway: Land prices up 50 times! Orissa: A jinxed state for mega projects?